The new Cat Compact International products ... fuel efficiency. US-based Caterpillar, a leading manufacturer of construction and mining equipment, diesel and industrial gas turbines, launched its largest range of electric power products at the Middle East Electricity exhibition held in Dubai, UAE, last month (March 2 to 4). 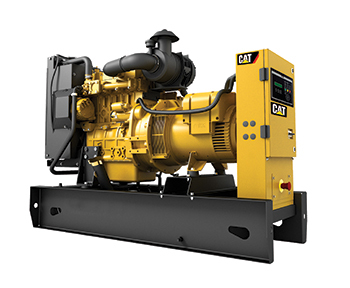 The company launched the Cat Compact International product line, a new series of Cat diesel generator sets with power outputs ranging from 6.8 to 220 kVA for customers in Europe, the Middle East, Africa, Asia-Pacific, South America, and the Commonwealth of Independent States (CIS). 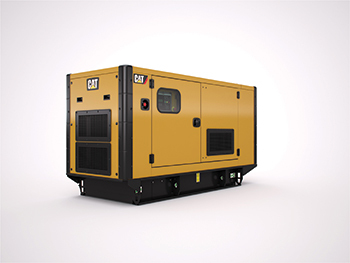 Available in 32 configurations in single-phase and three-phase, this new line of diesel generator sets greatly expands the Caterpillar range of products, providing reliable energy solutions for every kind of business including the telecommunications, commercial and agriculture industries. The Cat Compact International series offers four years of extended service coverage (ESC) as a standard benefit for standby applications and as an option in prime-powered applications. ESC provides additional protection throughout and beyond the standard warranty period, and it is fully extendable and flexible to meet customers’ ongoing needs for a lifetime of support, according to a spokesman for Caterpillar. “The new Cat Compact International range provides true value to our customers by offering peace of mind with services that support customer up-time. Additionally, our four-year extended service coverage is flexible to suit customer needs and is also fully extendable, so that the Cat generator set you rely on today can be the same one you trust 20 years from now,” said Neil McDougall, global sales manager for Cat Retail. “Complemented by expert advice and support from Caterpillar’s worldwide dealer network – from Cat parts through Cat financing solutions – the Cat Compact International series offers the best value in the marketplace,” he added. Cat Compact International diesel generator sets are available in both 50 Hz and 60 Hz-rated models, providing customers with a wide choice of configurations and a variety of options. A modular design enables owners to easily upgrade to better meet specific needs or local requirements, and a smaller, more compact installation footprint targets lower kVA/ekW nodes, resulting in lower installation costs and less required space, the spokesman said. “Powered by market-leading Cat diesel engines, Cat Compact International diesel generator sets deliver excellent fuel efficiency, product life and optimised running time from fuel tanks that provide a minimum of eight hours of performance at 100 per cent of the rated load in prime applications. This allows operations to continue uninterrupted for an entire work shift or for the duration of most utility outages without power loss,” he explained. Caterpillar offers a selection of weather-protective and sound-attenuated enclosures for the Cat Compact International series, all delivering superior durability, security and convenience. Engineered, validated and tested in one of Europe’s largest anechoic chambers at Caterpillar’s Larne Engineering Centre of Excellence in Northern Ireland, the enclosures are manufactured with corrosion-resistant galvanised steel components and finished with scratch- and rust-resistant powder-coated paint, along with high-grade thermoplastic components. Weather resistant and ultraviolet (UV) stable, these components use innovative materials to provide additional robustness and durability. Suitable for office and commercial applications, the sound-attenuated generator set enclosures feature noise-absorbent materials that assist in making them among the quietest on the market, the spokesman pointed out. Smart design minimises noise breakout for sound levels that are typically less than 70 dBA at 7 m.
Caterpillar is a leader in the power generation marketplace with power systems engineered to deliver durability, reliability and value. The company offers worldwide product support, with parts and service available globally through the Cat authorised service and dealer network. In addition, dealer service technicians are trained to service every aspect of Cat equipment. The company offers a complete line of generator sets, containerised power modules and rental units to meet continuous or temporary needs. Cat generator sets can be customised with a wide variety of attachments, components and performance options tailored to fit specific applications. Known for its worldwide product support, with parts and service available globally through its authorised service and dealer network, Caterpillar now offers a range of bundled repair solutions. These solutions are engineered for reliable, high-quality overhauls and include genuine, value-priced Cat parts backed by a one-year warranty. In addition, dealer technicians are trained to service every aspect of Cat equipment. Cat dealers are strategically located throughout the region, working with hundreds of customers to design, supply and install integrated standby and prime power applications. Sharjah-based Mohamed Abdulrahman Al Bahar represents Caterpillar in Bahrain, Kuwait, Qatar, the UAE, and Oman through its associate, Oasis Trading and Equipment Company. Al Bahar offers customised solutions for integrated power system requirements; the region’s highest full-fill-first-pick availability of spare parts; and best-in-class service support that includes workshop and field service, fabrication, maintenance and repair contracts, and training, the spokesman said. In recent years, Caterpillar and Al Bahar have completed a number of high-profile customer applications in the region including the Dubai Metro, the American Hospital Dubai, and Oman Mobile Telecommunications.